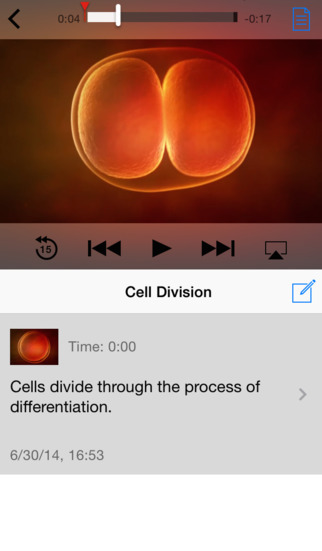 Keeping true to its promise to release a much-improved iTunes U version 2.0 on July 8, Apple today posted the update to the App Store. 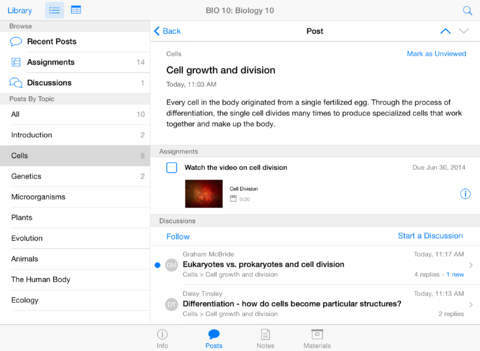 Now available free of charge for the iPhone, iPod touch and iPad, iTunes U 2.0 finally allows educators to create, edit and manage entire courses, directly on their iPad. Course creation capabilities include the ability to add rich content like photos and videos captured via the iPad’s built-in camera. Additionally, educators can import learning materials from Apple’s iWork and iBooks Author or from any of the over 75,000 educational apps available for the iPad on the App Store. The new Discussions feature allows for collaborative learning by allowing students to automatically follow classroom discussions and join conversations on new topics. Push notifications for new topics are available, too. As for teachers, they can participate in forum discussions and moderate them by removing any off-topic messages or unwanted replies. Apple says that over 750,000 individual learning materials are available on the iTunes U app, with thousands of educational institutions hosting over 7,500 public and thousands of private courses encompassing the arts, sciences, health and medicine, education, business and more. 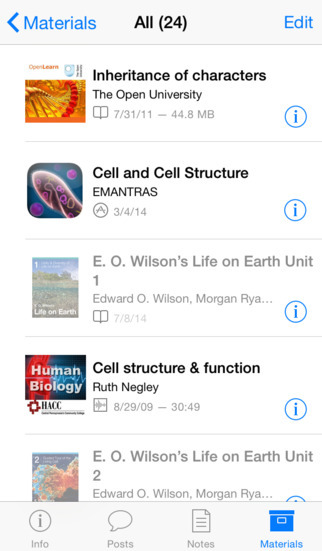 iTunes U courses are currently available in 69 countries and the app itself is available in 155 countries. More than 30,000 multitouch-enabled textbooks have been created thus far by independent teachers and publishers using Apple’s free iBooks Author app on the Mac App Store. To get a feel for these interactive textbooks, go ahead and download E.O. Wilson’s complete Life on Earth series in the iBooks Store, totally free of charge..
Download iTunes U free in the App Store. iOS 7.0 or later is required.